The oversized "sail" on VeriFone's SAIL card reader is intended to prevent the reader from swiveling when you swipe a card. VeriFone, one of the largest payment-processing companies around, developed SAIL after startups such as Square successfully created a new market to provide very small businesses with payment-processing services. 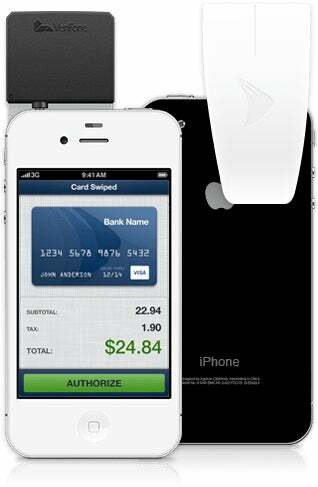 SAIL comes with a free card reader and an app for iOS 4.3+ devices; a beta version for Android phones and tablets was announced on June 27, after this review was published. Using the SAIL pay-as-you-go plan, you can accept Visa, MasterCard, and Discover cards for a per-transaction fee of 2.7 percent, or 3.7 percent for keyed-in transactions. The transaction fee for American Express cards is higher, at 3.7 percent. Sign up for the SAIL subscription service at $10 per month, and your per-transaction fees will drop to 1.95 percent per swipe or 2.95 percent per keyed-in transaction. You can void and refund sales using the app, but only for the full transaction amount; you can issue partial refunds through the Web interface. You can also view and download transaction details (including sales, tax, and tip amounts) on the Web. SAIL accepts and tracks cash payments and tips, and you can email customized receipts--including links to your pages on social networks--to your customers. Text messaging is not supported. The SAIL app did not support printing when this review was originally published, but the company announced on June 27 that printing can be performed by linking VeriFone's VeriFone VX 520 countertop device (which must be rented at a cost of $15 per month) to your SAIL account. The SAIL card reader is the largest of the four mobile payment processing devices we tested, with a wide plastic arm on its back that’s designed to prevent the reader from swiveling while you swipe a card. In our experience, the arm didn’t prevent all movement, but it did help. VeriFone's SAIL can sync inventories across multiple devices. One impressive feature: The service allows you to sync inventory items (including SKUs and UPCs) across mobile devices and via the SAIL Web interface. This option is convenient if you have more than a handful of items and will be taking payments using multiple devices and locations. We also liked using the device’s camera to add items to an order by scanning UPC bar codes. Among the four payment processors we looked at, SAIL was the only one to offer sync and bar-code features. Though the SAIL app and service are both quite appealing, there’s plenty of room for improvement. While you can run the iOS app on an iPad, it doesn’t take advantage of the larger screen. 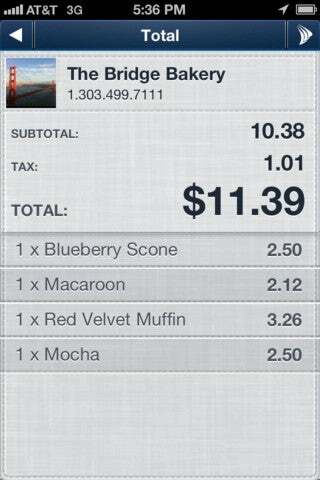 VeriFone says that it will have an iPad-specific version in July. The company's app designers should make the interface more user friendly, while they’re at it: Switching between manually adding sale items and adding them from your inventory is unnecessarily confusing and difficult. And even if you prefer to use the app in portrait orientation, you must switch to landscape orientation to capture a signature. SAIL is a great choice if you need strong inventory management tools. On the other hand, you'll need to rent a Verifone device to print receipts, and Android support is only in beta.